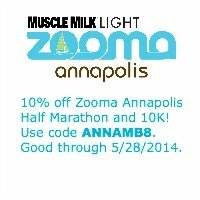 You are here: Home / half marathons / Zooma Annapolis Ambassador!!! Today started as one of those “no good, very bad” days. I woke up with a headache again (so over this cold). Beer Geek yanked the clock out of my stove, which left me with live wires sticking out. (Long story). School started on time, which meant walking to school on sidewalks that resemble a skating rink. It’s cold. It’s grey. It’s raining. 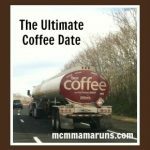 And I need to run 6 miles. Woot! Woot! Woot! Zooma Annapolis has a LOT of things going for it: it’s a women’s race, it’s in beautiful Annapolis, and the swag and post race event are pretty awesome. Even better? It’s the last race in my 13 races in 79 days quest. What a way to finish!! Want to run it? Come back soon for a 10% off discount code!!! Disclaimer: I get a free entry and other perks as an Ambassador. I would have run the race anyways. 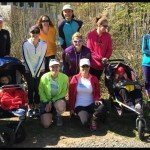 5 for Friday: Off to the Races! 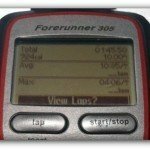 You and all your free races this year. Way to go! Congrats! That’s awesome. 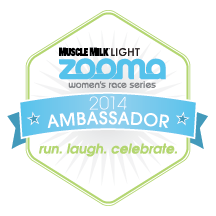 Running a Zooma race is on my bucket list. There’s one close to me in Chicago, but it’s two months after my due date. Not quite sure I can swing that. Maybe next year! It’s chilly fall races for me this year. That is so awesome and so exciting. I wish that I lived closer. P.S….You don’t think that you have a sinus infection do you? 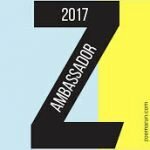 Boo to the nasty start of the day but congrats on the Zooma Ambassador gig!!! That’s always a great thing! Congratulations. I’m glad you got this surprise on a pretty ordinary day. Congratulations, you will do amazing, Im Sure!! 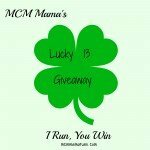 Ms M recently posted…Sunday Random and a Giveaway!! !